There is no doubt that Sicily is a great place to sail. The fact that it is an island speaks for itself. Still, regarding a trip around Sicily, I would like to point out a few things. Those who have not yet visited Sicily have to be aware that it is much more than an island – it is also Italy’s largest administrative unit. Sailors who charter a yacht for a week or two should know that they will be coming back to Sicily several times to see all it has to offer. 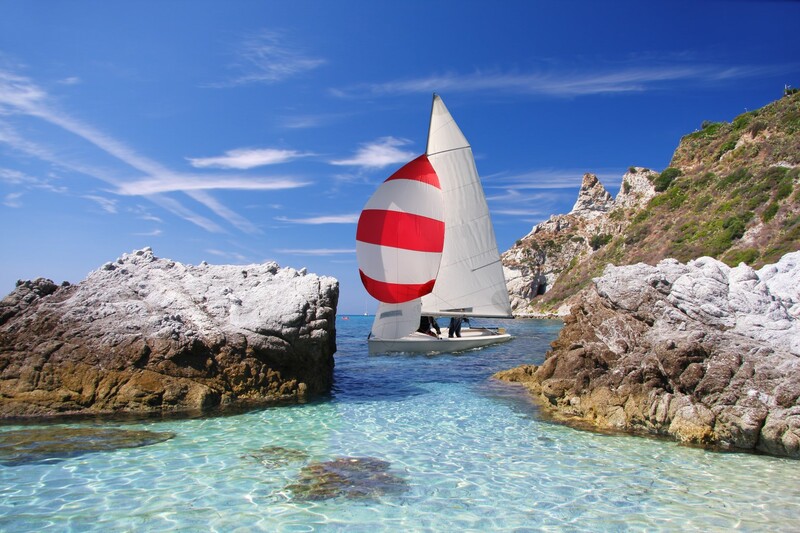 On the other hand, those who do not rush to see everything during their vacations, or those who have decided to spend some time exploring the Mediterranean, can enjoy sailing around Sicily and visiting the surrounding archipelagos and islands. This time I would like to focus on those of you who charter a yacht for around a week. The target is the Egadi Islands, or Isole Egadi in Italian. It is a small archipelago consisting of three islands a few miles off Sicily’s west coast. Their ancient Greek name Αιγάται Νήσοι (Aegatae Nisoi) implies an early agricultural tradition, since the translation of the name means the Goat Islands. 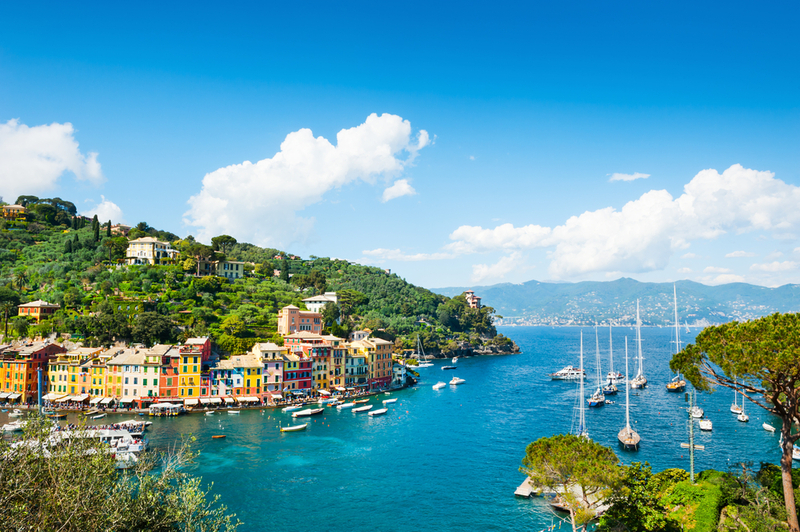 History lovers know these islands from the epic battle which took place in 241 B.C. when the Roman fleet defeated the Carthaginians during the First Punic War. Nowadays, islands Favignana, Levanzo and Marettimo, along with their islets and rocks, are the place to go if you are looking for isolated bays and coves, deserted mountain paths and picturesque small villages that preserve the atmosphere of the old Mediterranean. Due to its beauty and natural heritage, a part of the Egadi archipelago was declared a marine natural reserve, also known as Riserva naturale marina Isole Egadi. Island Favignana, the largest and most important of the Egadi Islands is also referred to, thanks to its shape, as La Farfalla, the butterfly. Besides the vibrant port and a fish market, there are two bays which you should visit while on Favignana. Cala Rosa and Cala Azzurra are two most beautiful and famous bays on the island where the flow of turquoise, blue and green waters invites you to jump in. Allow yourself some time to explore the sea caves – Grotta Azzurra, Grotta dei Sospiri and Grotta degli Innamorati. The first one requires no explanation – azzurro means blue. Grotta dei Sospiri is called the cave of sighs because it allegedly moans during the winter. I can only wonder what sounds it makes during the summer… Finally, Grotta degli Innamorati literally means the Lovers’ Cave. Levanzo is the smallest but not least interesting of the Egadi Islands. It is specific for its dramatic rocky cliffs, but the highest peak is only 278 m above the sea level. In the only village on the island, Cala Dogana, you can find two shops, two restaurants and two hotels, which makes it a perfect place to relax. However, if you cannot live without sightseeing, you should visit Grotta del Genovese, a cave where paintings representing everyday life in the Paleolithic were discovered in 1949. The rocky Marettimo is the most isolated of the Egadi Islands. The nature took care to create several outstanding caves, as well as some fine scenic anchorages. Grotta del Camello shelters a small pebbly beach, while the bay of Cala Bianca is a very deep, but beautiful place to anchor. 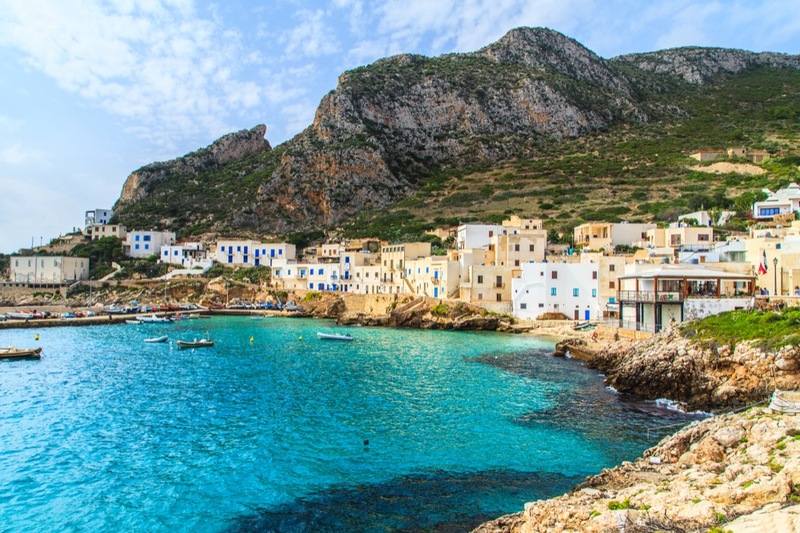 The suggested itinerary can start from both Marsala or Trapani on the west coast of Sicily, although some would say that the distance it too short, since the Egadi Islands lie only a few miles off these two towns. 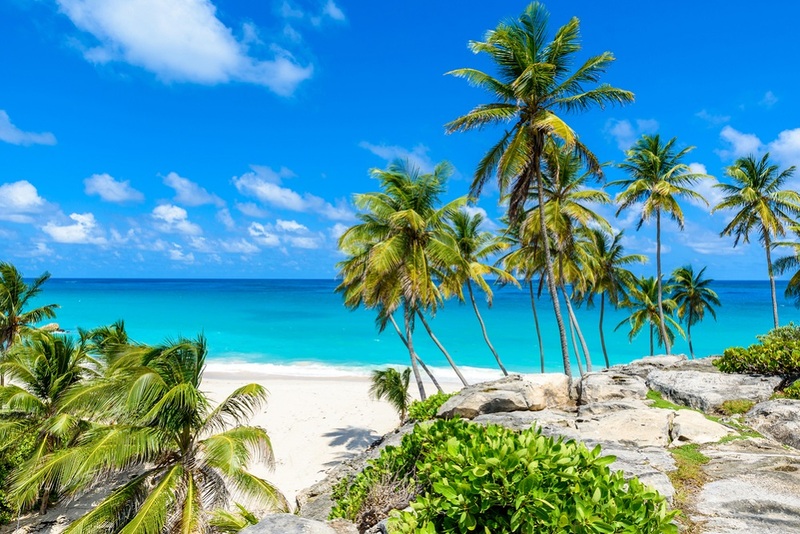 A more ambitious cruise can include embarkation at Palermo, sailing west to Cape San Vito Lo Capo, reaching and sailing around the Egadi Islands, and visiting Castellamare del Golfo or some other port on the northern shores of Sicily on your way back. The visit to island of Ustica in the Tyrrhenian Sea could also be taken into consideration when sailing from Palermo to Egadi, but that could be the topic of some future post. To learn more about chartering a yacht for a trip around Sicily, visit A Yacht Charter Italy. I wish you a calm sea, a fine wind and a strong mast!